Today I got to craftin' much later than I usually do. 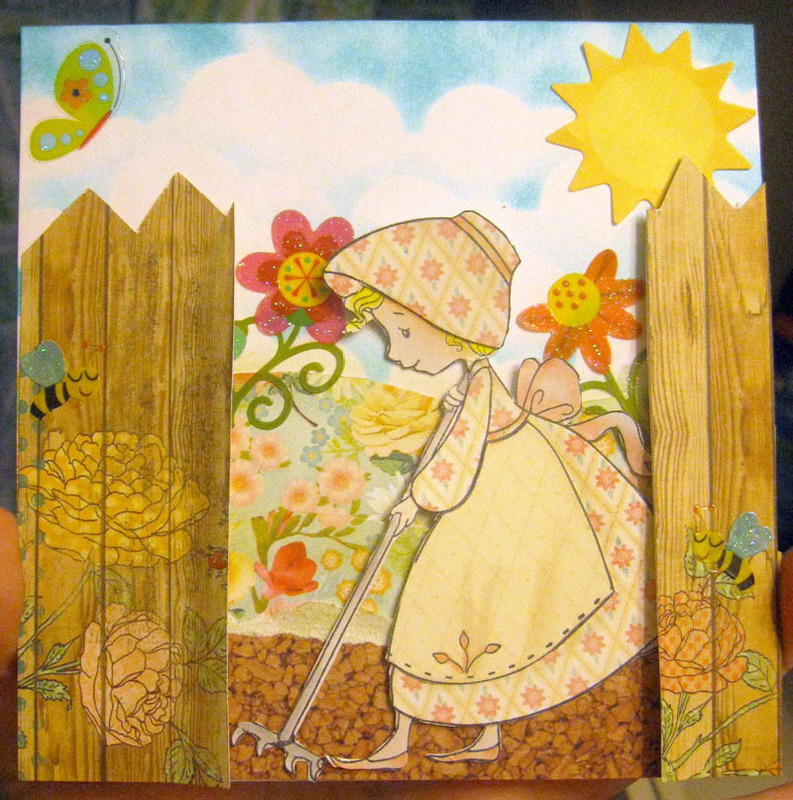 But I got the idea I had in my head all day finally out of my head and onto a card! I just love my new paper pad My Mind's Eye Howdy Doody! The colors are so soft and perfect I just love it. 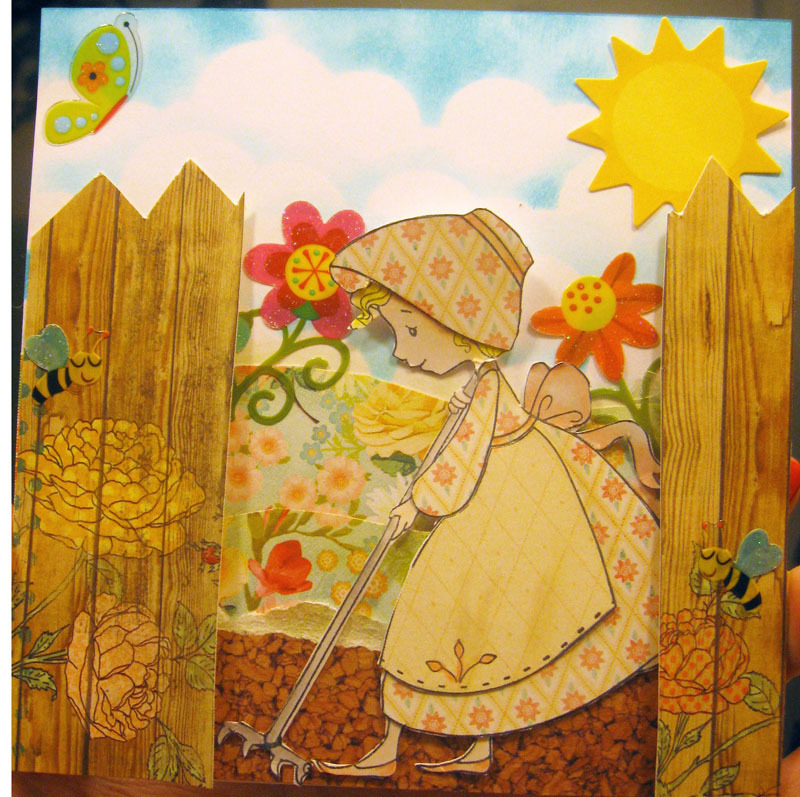 And that wood plank paper is what inspired the card. I thought it looked just like the fence my Aunt has in her backyard so I turned it over and cut into a fence. I thought my new Tilly stamp from Sweet November Stamps would work perfectly with the theme and then just added some stickers and that was that! I also decided to enter this in the All that Scraps Wednesday Anything Goes Challenge:) TFL!